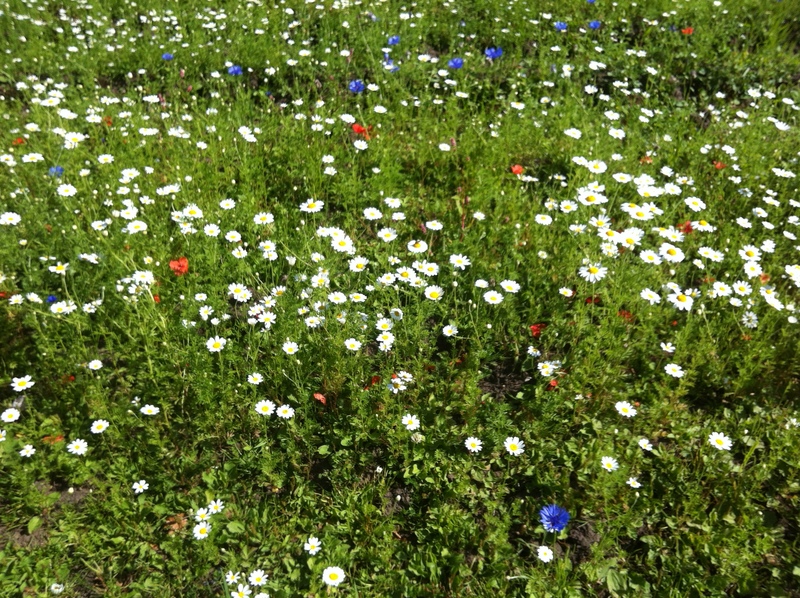 In August 2013 the Friends submitted a grant bid to Green Partnership Awards for £750 to buy a substantial amount of seed mix in order to create a 2000 square metre wildflower meadow within the Park opposite the Sensory Garden. At this time the Council committed to carry out the necessary ground work and seed sowing if the bid was successful. Happily Green Partnership granted us the £750 within two weeks of applying. The area was treated with Glyphosate in early March 2014 to kill off the grass and then rotovated twice. The seed sowing took place in the first week of April with the following mix. 60% Corncockle seeds, 5% Cornflower seeds, 10% Corn Chamomile seeds, 5% Corn Poppy seeds, 5% Meadow Buttercup seeds, 5% Meadowsweet seeds, 5% Ox-eye Daisy seeds, 5% Lady’s Bedstraw seeds. The resulting display in Summer was a little disappointing compared to the Hallgate meadow, however having taken expert advice we are informed the meadow will fully mature in its third year due to the amount of perennial plants which need to establish. 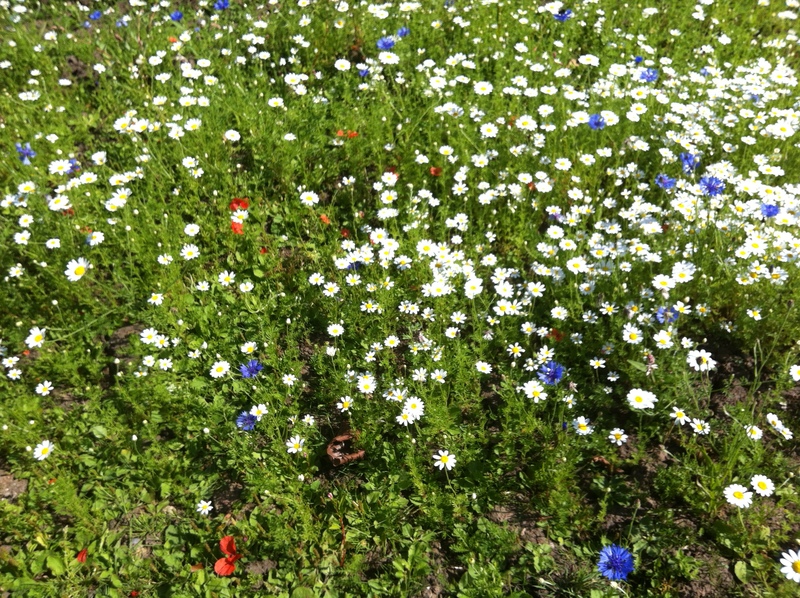 In order to give a better result for Summer 2015 Chorley Council have agreed to sow further annual seeds in April. 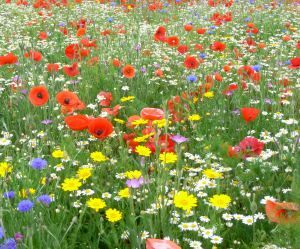 We just have to be patient with the meadow, in time it will provide a stunning display.